We think our market is really pretty and while we'd like to say it woke up like this, the truth is it takes a team of talented people to keep it looking fresh. One of the people being behind making our shop look so dreamy (as well our Instagram feed) is Calgary-based visual artist Sasha Foster. Last week, Sasha took a little ODB holiday to work on a series of sculptures for the Alberta Beverage Container Recycling Corporation (aka the Bottle Depot)! 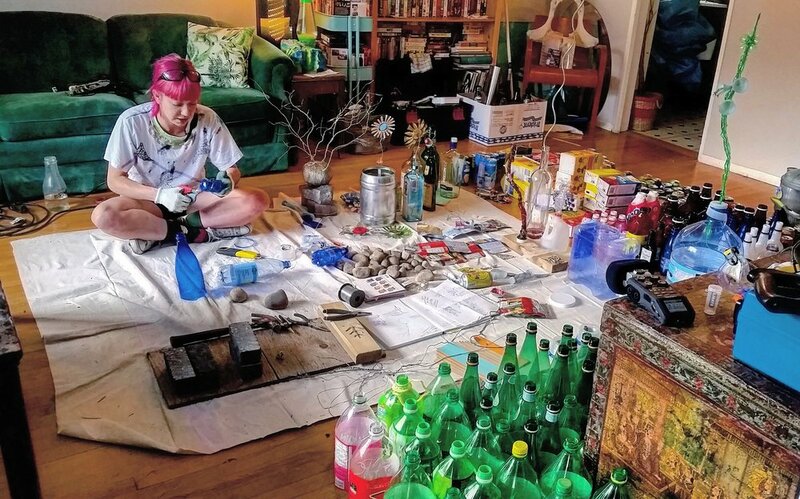 Using recycled pop bottles and cans, Sasha drew inspiration from plant life in creating works of art designed to shine a light on the beauty of recycling. We're stoked to share a few snaps of the art taken by Sasha during the week below. Come late August, you'll be able to see her floral works on billboards and bus stops throughout Alberta!